This Project is one of its kinds as the soil on which this mall is coming up is not congenial for construction , so as a Geo-technical investigation & structural consultant we have a daunting task to do but with a vast experience behind we are confident to make it possible. This site is situated in Shahdol city of Madhyapradesh state. The Noticeable thing in this project is that the water table of ground is very high. We conducted Soil investigation tests on 10 different points of the site. The nature of the soil is Yellow Clayey Sandy. For Draining out water from the foundation stages we are looking to use Tile drains system. In Tile Drains system Tiles are laid with a slight grade towards the storm sewer or, in areas without sewage systems, towards a sump pump inlet in the basement. 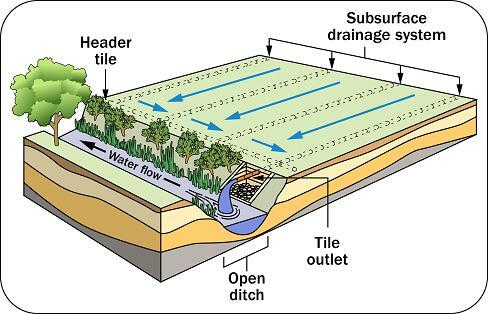 In agriculture, tile drainage is a type of drainage system removes excess water from soil below the surface. Whereas irrigation is the practice of adding additional water when the soil is naturally too dry, drainage brings soil moisture levels down for optimal crop growth. While surface water can be drained via pumping and/or open ditches, tile drainage is often the best recourse for subsurface water. Tile drainage got its name from tiles made from fired clay (ceramic). In some cities without separate storm sewers the tiles are connected directly to the sanitary sewers. Various types of tile are used for drainage around building foundations. These include clay, porous concrete, perforated corrugated steel, or bell & spigot concrete. Use of perforated, corrugated plastic drainage tubing is increasing. Clay, are lad with a small gap (about 3/8 in.) between to allow soil water to drain into them. For most situations with conventional housing, a 4 in. diameter tile will easily handle the water flowing through the soil & into the tile. 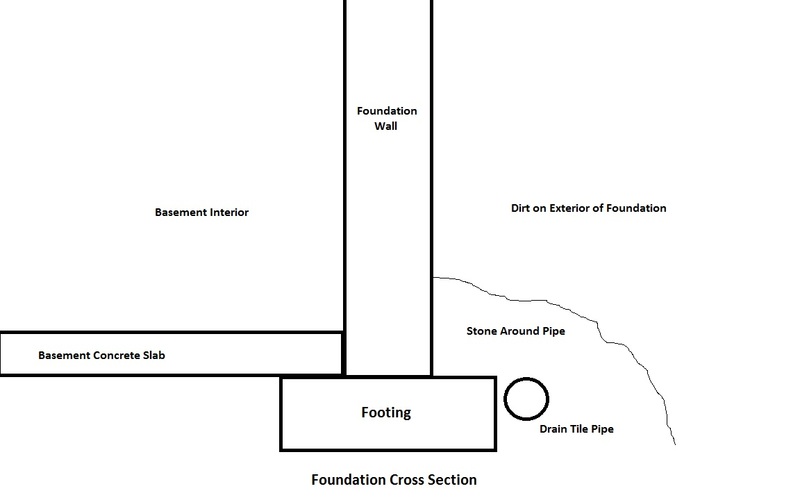 Although the quantity flowing in foundation tile is small, the combined flow from many building can impose an undesirable load where tile is connected directly to sewage system not designed to handle this additional flow. This overloading of the system sometimes results in back-up of sewage into basements. The main problem with building tile is to prevent blockage frequently occurs as a result of poor construction practical, for example from laying broken or poorly aligned tile from allowing silt or clay deposits to wash into the tile before back-filling takes place. The pore spaces in the filter must be small enough to prevent fine soil particles from being washed through them. Yet large enough to permit water to move through the filter, thus preventing a build-up of the water table around the foundation.